Medically unexplained symptoms (MUS) represent a major challenge for healthcare systems in industrialised countries. These symptoms are so prevalent that they are assessed in up to 50% of consultations in primary care. The repeated referral of these patients to secondary care represents a substantial cost, but not a resolution of the symptoms which often remain unexplained. Notwithstanding the huge prevalence of MUS, medical professionals strive to tackle these conditions. Giving names to the wide constellation of symptoms characterizing elusive conditions such as fibromyalgia (FMS), chronic fatigue syndrome (CFS), and irritable bowel syndrome (IBS) has not led to much development of knowledge on MUS. On the contrary, medical classifications that cluster these pathological manifestations on the basis of the most predominant symptoms and related medical specialties has led to further confusion. It seems that, as in the allegory of the blind men and the elephant, looking at the problem from the single perspectives of several medical specialties leads one to see just one part of the problem, which instead is far more complex. Fibromyalgic syndrome (FMS) is a prime example of MUS: its aetiology is largely unknown and all laboratory tests turn up negative, i.e. they show no abnormalities. To diagnose this condition – characterized by persistent and widespread pain, fatigue, cognitive, mood and sleep disorders – the clinical examination is the only medical reference with the exclusion of other underlying conditions. From a scientific standpoint, there is the tendency to explain FMS and allied conditions through multi-factorial frameworks, in which some predisposing factors interact in non-linear ways with environmental ones. Even if this method appears to be theoretically fruitful, there is no definitive causal description that can provide an adequate medical response to the problem. Another feature contributing to the debated disease status of these conditions is their frequent association with mood issues, particularly anxiety and depression. MUS strongly challenge mind-body dualism, because these symptoms are not only organic or psychological, but both organic and psychological. This, in addition to the absence of a detectable explanatory cause, contributes to supporting the psychogenic hypothesis. In the case of fibromyalgia, this view is further justified on the basis of the efficacy of certain SNRIs, even though it is usually only temporary. Even if the efficacy of antidepressants is well known for FMS due to their action on the CNS, where the pathological process seems to be, many patients feel stigmatized by a psychiatric interpretation of their distress. Complexity and heterogeneity seem to be the main shared features of MUS. These conditions are in fact particularly resistant to standardized approaches because for every patient there seems to be a unique expression of the condition. For this reason, MUS have been considered as exceptions to the rule and have therefore been marginalized in medicine. Conversely, philosophers of medicine and medical anthropologists have suggested that the abnormality of MUS highlights the limitations of the medical approach to disease. In this sense, the reason why medicine cannot account for these conditions is not a lack of knowledge of mechanisms, but an inadequate explanatory framework of disease which therefore must be revised. Interesting insights on the MUS conundrum emerge from the patients’ illness narratives. One of the main results of an ethnographic enquiry that I conducted on fibromyalgic patients’ illness experiences was that no matter the heterogeneity of individuals’ stories and conceptions, a common shared feature was the detection of the cause of the disease in one’s life issues. For some of them it was a psychological trauma, while for others a physical trauma. In each case, FMS emerged as the manifestation of a long-standing way for these individuals to deal with life problems, of feeling overpowered, which had been brought to light by a traumatic event. This view reflects the scientific perspective on fibromyalgia, i.e. that this condition is not psychological or organic, but the final outcome of a combination of several issues including the personal story (biographical and genetic) of the individual and environmental factors. This idea is not new to medical professionals, the majority of which declare a strong interest in bio-psycho-social approaches to disease, although a concretization of this view is still a hypothetical future for now. Is it perhaps time for philosophers to leave their books and head to consultation rooms, and for physicians to question their own philosophy? 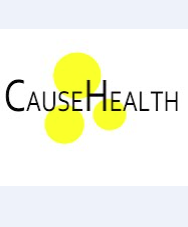 This is why I love CauseHealth! Good to mix clinicians with philosophers. Great post!